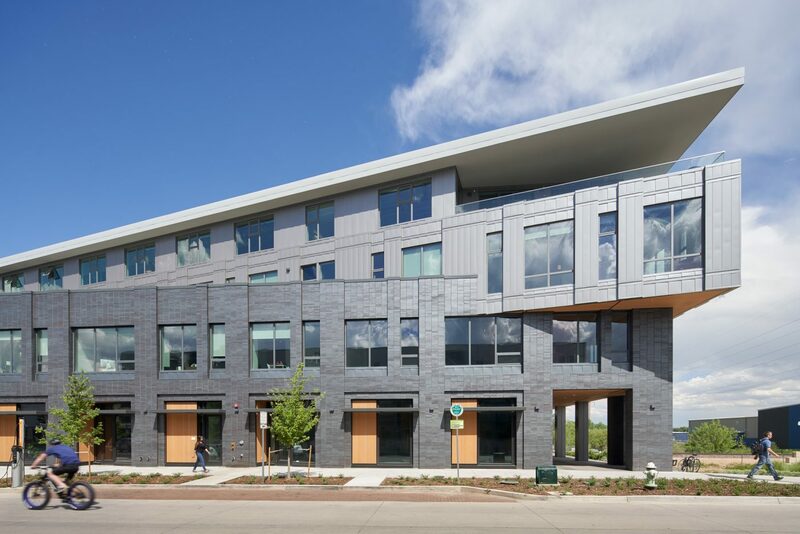 The Boulder Commons Net Zero Energy (NZE) Office Building demonstrates how environmental and financial sustainability are linked through integrated design. 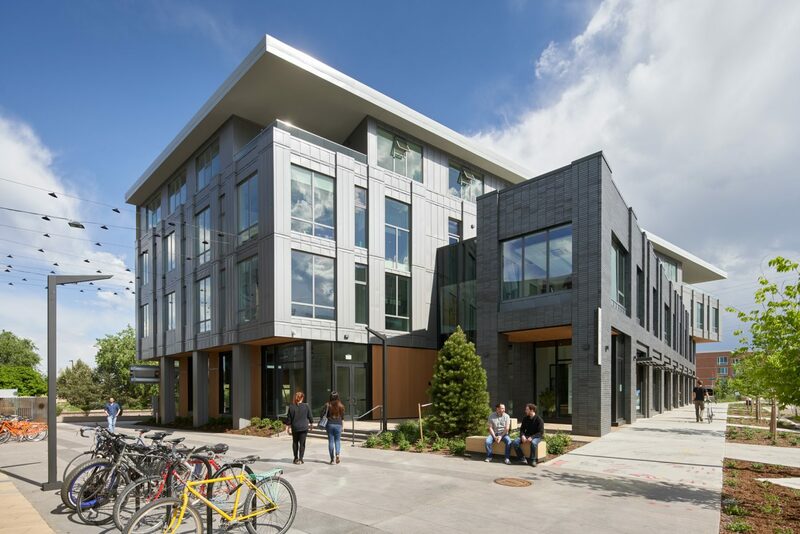 The client, a mission-focused investment company, intends to own and operate this building at NZE for the long term, thereby offering a new model of speculative mixed-use development that yields returns to the occupants, owner and community. The four stories of core and shell space totals roughly 95,000 sf of office and retail space. 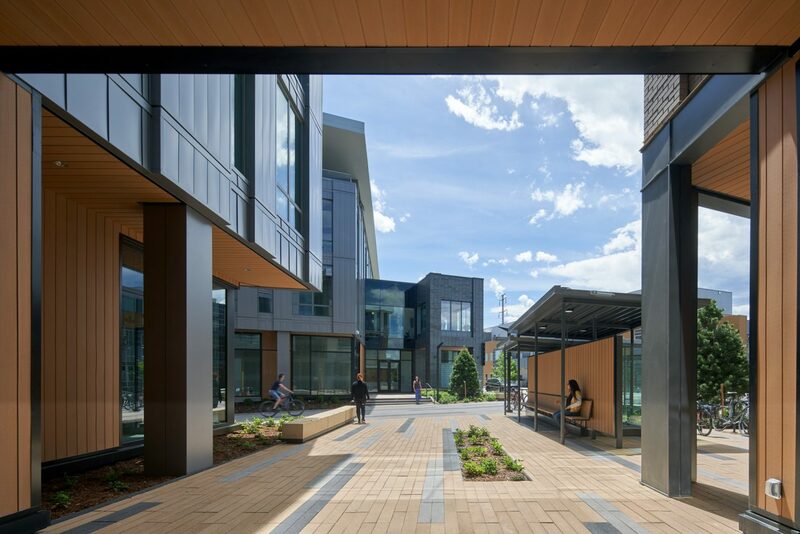 The project is located one block from the new Boulder Transit Center and intends to leverage the activity and sustainable transportation initiatives through a multi-use plaza with sustainably-focused retail, car-share and bike-share facilities that will serve not only building occupants but the community at large. Building massing and material expression are responsive to the varying conditions along each façade. A baseline expression of vertically-expressed metal panels and windows is balanced by two, uniquely-detailed brick building wings along a pedestrian way. On the southeast façade, a building-integrated photovoltaic wall generates electricity while serving as the building’s architectural finish. 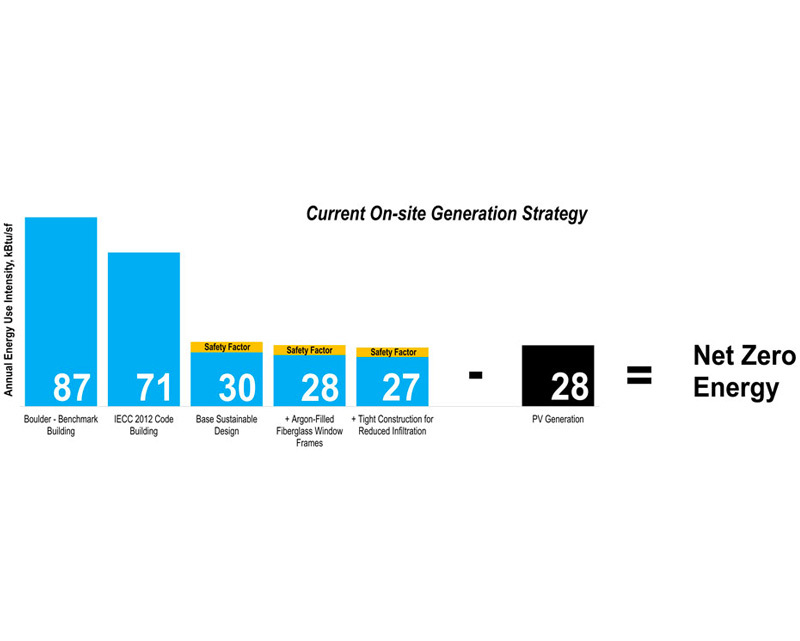 A target energy use intensity of 23 kBtu/SF is offset by the southeast PV façade plus roof-mounted PVs. 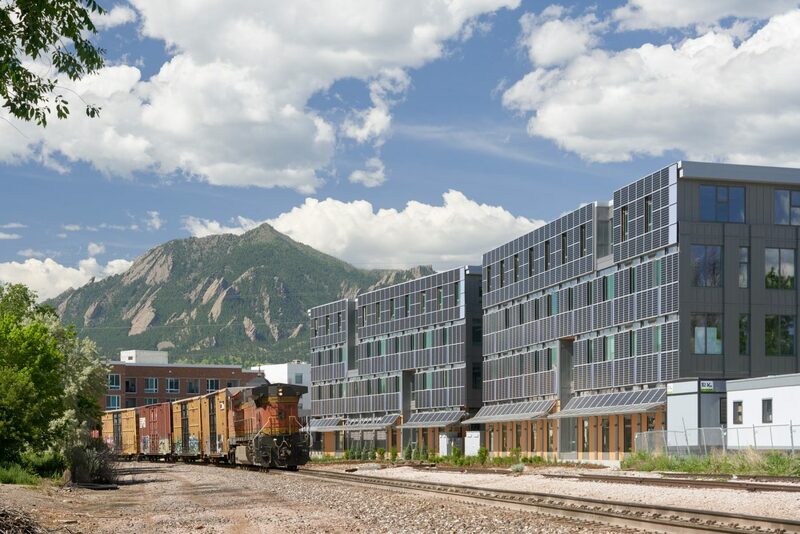 High-performance fiberglass windows and double low-e glazing highlight a building envelope tuned to the extremes of the Boulder climate. Carefully calibrated building widths and window placement ensure a fully-daylit office interior with exceptional views to the Flatiron mountain range to the south and west. 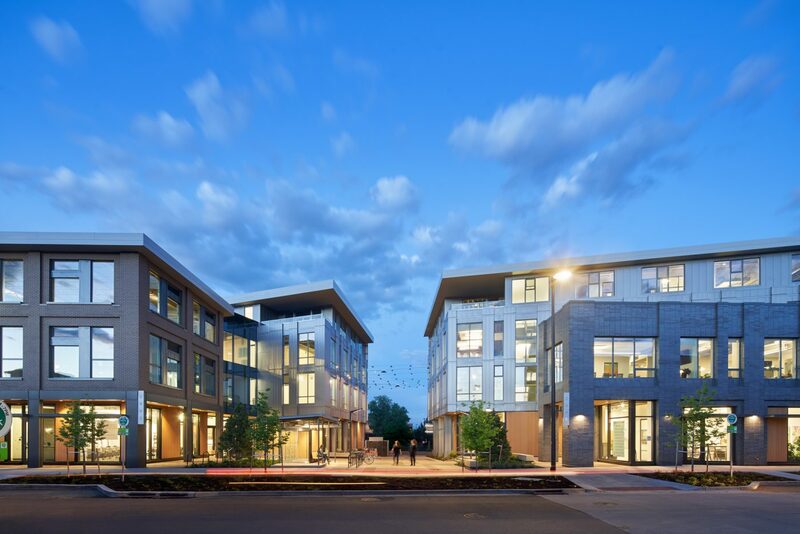 With this model of development, NZE design moves from aspiration to demonstration. EHDD is the Sustainability Design Architect.